Size of this preview: 408 × 600 pixels. Other resolutions: 163 × 240 pixels | 472 × 694 pixels. This is a card image for the Super Rare 1st Edition card "Sky Striker Ace - Hayate" from the Worldwide English print of Cybernetic Horizon. 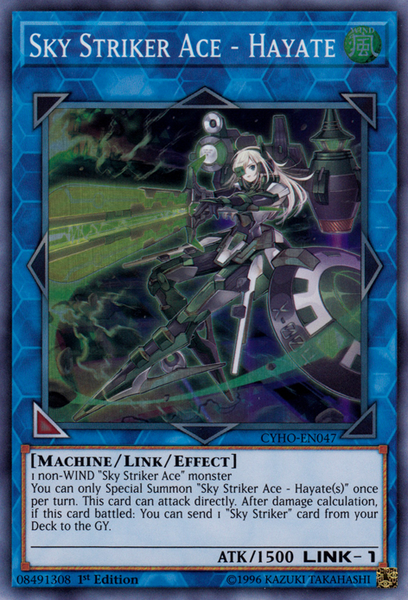 You can also view a list (old) and gallery of all images uploaded for "Sky Striker Ace - Hayate". 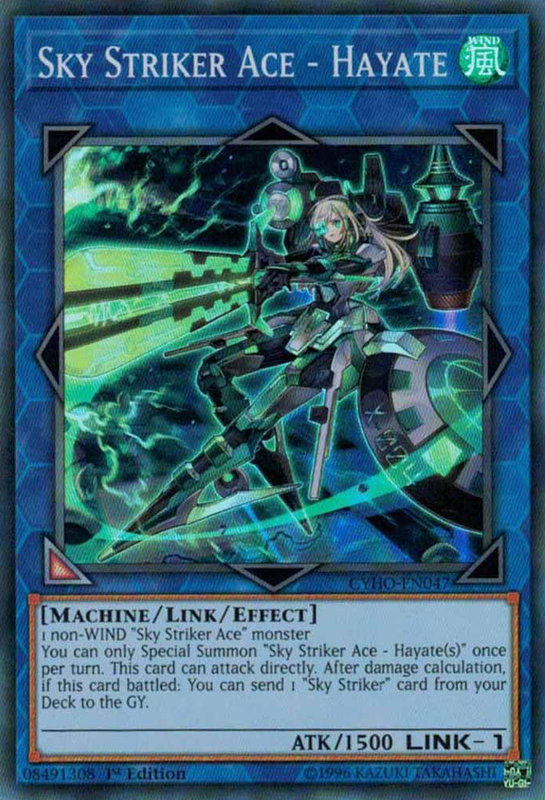 This page was last edited on 27 July 2018, at 19:06.